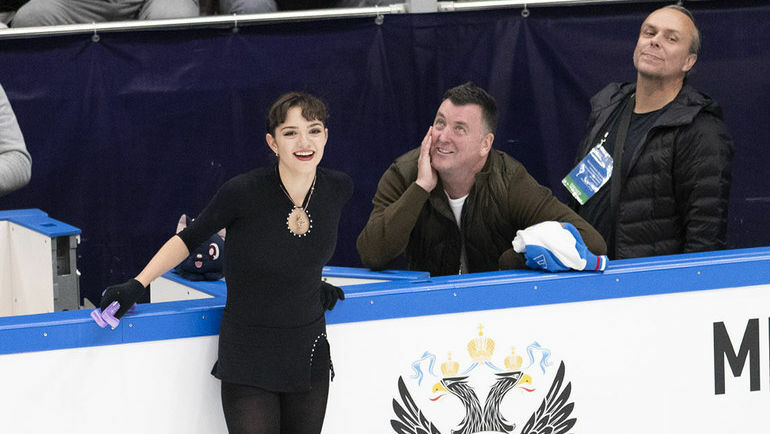 Interview with Brian Orser after World Championships 2019. Brian, do you count World Championships that you’ve attended? – The first was in 2007, in Tokyo, with Kim Yuna. Since then, I’ve missed only one. Turns out 12. I ask because many people say that it was almost the best championship ever. – Really? You know, I didn’t even have time to think about it. There were very strong moments in every discipline. The Chinese pair skated amazingly. In ice dance, the entire top five was incredible. Ladies – something unbelievable, super skating, drama. Men – you saw everything on Saturday night, it was great. For certain that was one of the best championships. For sure one of the most dramatic. Well, I always look at the quality of skating. It was very high. Another important point is always interesting to watch at the post Olympic championship. We have a new four-year cycle, some kind of changing of the guard. Zagitova took the first title. Chen and the Chinese pair – the second, in ice dance the duet kept the leadership. But still, a lot of new names. Japanese single skaters are still new. There are good guys from Europe – Italians, French. Many rising stars. Now we are flying to the new Olympics. And in the next three years we will see how it all will be played out. Evgenia won the bronze. If you had been told this in December after the Russian Nationals, what would have been your reaction? – (laughs) Listen, I always knew that we needed one thing – time. And we still need it. I’m satisfied, satisfied with her performance. Yesterday, Evgenia said that this process is over. – Let’s hope so. But after the Olympics there were serious changes. Of course, both me and, more likely, athletes need time to adapt. In such situations they often return to the old technique, to the old mindset, to the basics. We are making some adjustments, but it was nervous for Evgenia to do new elements. This is a human nature. But now I see that together we’re finding the way through it all. We are just starting to find it. We had to go through this competition. I’m very satisfied that she qualified, went through the whole process. The process was fair. The tough situation in Russian figure skating comes from the fact that there are so many good skaters there! Any country would dream of being in this position. When you have five contenders, you have to choose three. They tried to make the selection fair, it turned out, and the decision turned out to be right. Evgenia proved it. In the fight for a medal Evgenia won 0.3 points from Kihira, 1 point from Sakamoto. This can be considered a kind of luck, perhaps compensation from the fate for a difficult season? After all, Kihira gave this medal, and the results were so close that the outcome is quite subjective. – Yes, to some extent. Kihira was one of the favorites. But this is a competition. As a coach, I try never to dig very deep. Because wasn’t Medvedeva’s triple toeloop underestimated in the short program? I don’t know. They counted it so. But you start to do simple math and it turns out that Medvedeva could have got 4-5 points more in the short program, that is, 80 in total, right? And that means, we would have been within striking distance of Zagitova before the free program. And then we would have had a solid second place. That is, you can always make these calculations – what if so. So you can go crazy. Therefore, it is better to take the protocol and make conclusions, and the next time do the combination perfectly. I want my skaters to win due to confident skating, not reputation. Because there were so many such cases in figure skating, with my skaters too. – Well, here I must say that they were beautiful (laughs). I love this team. And the Russian duo did everything they could. They had an excellent rhythmic dance, and they laid a good foundation. It was their first year, and I think they left an impression. This is the groundwork for the Olympics. Here you need to take a place as early as possible. Surprises are rare in ice dance, except for the French themselves. But this is an exception. Evgenia said that at first, she felt in Canada like an adopted daughter. Were you more than a coach then? What was the hardest thing for her? – First, I helped her to find housing closer to the rink. We have a lot of foreign athletes in the Cricket Club, and they helped her and her mother. Where to shop and with other household issues. I know that in Toronto there is a certain Russian quarter where they could buy some familiar products to cook something of their cuisine. But I’m not so aware. In general, many people even sheltered her outside the rink, not only her, but also her mother, because in a new country everything is not easy at first, it is obvious. Now everything is fine, they feel comfortable. She speaks English so well. Yes, I haven’t progressed like this in all school time. – In general, I’m surprised how quickly young people learn languages. I have a lot of children from all over the world, and often they came without knowing a word in English. Like Kim Yuna, for example. And she is very shy. But now her English is beautiful. I had a Russian girl from St. Petersburg, she’s studied for five years and went to school with her brother. Now their family have moved, to the university, but her English is perfect now. So it is almost with all children. Maybe you learned some Russian words from Evgenia? – Journalists from every country ask about this. The Spaniards – because of Fernandez, the Japanese – because of Hanyu. When I started working with Yuna, I took Korean lessons. And I’m good enough … Well, ok my Korean is terrible, but I tried! And then our roads parted, so I stopped learning it. (laughs). However I have a Korean boy now. In general, Korean is the easiest language for me to learn. You said that according to the plan Medvedeva should fully adapt in 18 months. At the moment, Evgenia is going faster graphic or slower? – In some aspects faster, in some slower. – She knows only one method of training, she had only one way to prepare. It seems that it was just to repeat. Many, many jumps. I think that there must be a moment when you start working on something fundamental. Speed, skating skills. And it was difficult to convince Evgenia to believe in this change. Because about an hour of work, we had skating, steps. And she could think: “I could have used this time to jump triple salchow, combination, whatever!” But now she accepts it. And there are changes in her skating, that’s because of growing up. She sees it in others, how Jason Brown has moved forward. The jumping part is good. But there is always something to work on. After this championships she is very excited about work. She has a show, I don’t know if she has already revealed her ideas about programs. But she definitely thinks about the future. And it makes me happy. My style of coaching work – you don’t consider coach such a necessary figure. That is, the mentor becomes less relevant, or something like that. You just give the skater tools, and they figure it out. I motivate, watch. Yuzuru Hanyu is one of such examples. I don’t teach him every day, but I’m near. And so we work seven years. In general, you have a different approach than Eteri Tutberidze, who is called a harsh coach. Is there an answer which one is better? – I will never say that the style of another coach is bad or something like that. I have my own style, and they sometimes criticize me for it. I also had skaters with whom it did not work out. And he or she needed a different style. For example, Tursynbaeva. We have worked with her for three or four years. After the Olympics, I decided that it was better for her to stay in Moscow. She had plans to return, but I told her: “It would be better for you to stay.” I had no idea where she would go to, maybe she would go to California. But there was no offense, I liked her. We talked a lot with her about her skills, but she just didn’t bloom with me. And she found the right person, that’s fine. Skaters must find the right chemistry. Here a lot depends on age. I’m probably not doing very well with young athletes. Maybe I don’t have patience or different temper. But I also had success with them, Gogolev for example. So after all there’s something I did right. But it seems to me that I found my own style by coaching more accomplished skaters, which is also not easy, this is a challenge. What Eteri does is not easy either, and she does a really great job. Have you ever talked to her? Maybe on some abstract philosophical topics about methodology? – Not. Maybe someday. I would like to talk with her. I have no offences or negative feelings about her. I myself have lost good skaters. Kim Yuna, who won the Olympic gold with me, World Championships. She went to another coach, this is life. And I tried to analyze and rethink somehow what happened. But I took it very hard, to heart. – If I was her, I wouldn’t either (laughs). You said that there were tough moments in Russian figure skating. And the whole season was tense. Have you faced the negative? Has anyone written to you on the social network or e-mail: “What are you doing, Brian”? – No, there were no such things. So you just heard that there is tension in Russia, but nothing more? – Yes, something like that. I basically stay away from social networks. And I advise my athletes to do the same. But they are young and grow up with them. But you are not the coach who will forbid social networks. – I can advise them not to read this nonsense, not to believe. But the guys grow up and understand how to stop paying attention to it. In general, it seems to me that children have already learned how to cope with it. I grew up at another time. When I worked with Yuna, I decided once to read what was written there. It was terrible. One page hates me, the second one adores and thanks me. Opinions may be different. But I have to believe in what I do, believe in athletes. I want them to be happy and their work to be fruitful. So even after leaving the sport they still love it. And if along this way they win gold medals, that’s great. The last question, Brian, is also a bit global. In many other sports – hockey, even skiing, biathlon, there is more rigidity, in figure skating it seems that everything is very positive. But the situation in Russia shows that treshtokking helps popularity (here Orser laughed). Is it because figure skating is not only a sport, but also an art? – I like that you used the word “sport” because I completely perceive it as a sport. But there is an artistic side. And what is the ratio? 50 to 50, 70 to 30? – Phew! It changes with the decades. In the 90s a lot was built on technique. For example Plushenko and Yagudin. They were “technicians”. Brian Joubert, for example. And then we have Stephane Lambiel, who was very artistic. And the balance has shifted. Yuna won in 2010 because she had the perfect set of both. So you try to fit this aspect into the sport. Gliding, speed is a part of sport, it’s not some trifle (laughs). Do you understand what I mean? This is not just jumping quads one by one. We should leave people touched. What happened in the men’s competition on Saturday. First Yuzuru gave people what they wanted. But Chen skated right after Hanyu, in Japan, with a full arena, after his opponent got 300 points! And with Yuzuru standing at the board. Many would just break. But Chen stepped over it. I think Evgenia has it too. This competitive instinct, the spirit of a fighter. And if we still work on the foundation, she can be even more fierce. It is like building a house. Apparently, you will “adjust” the results in Beijing. – Oh, three years is a long time! New juniors from Russia are coming up. But we need to remain competitive.